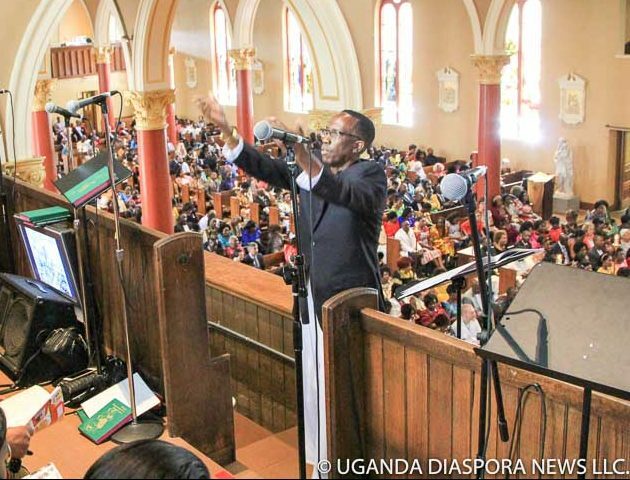 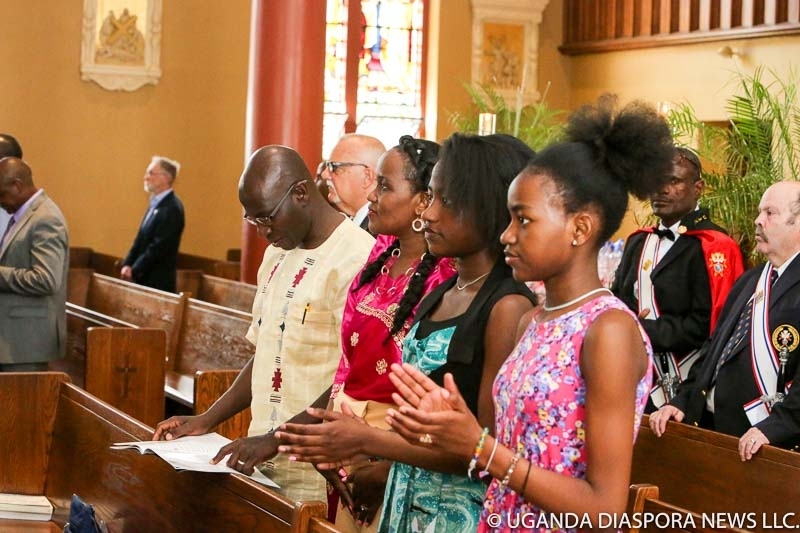 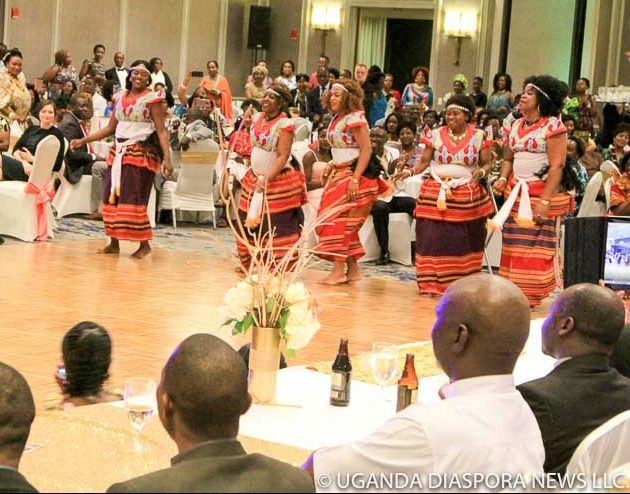 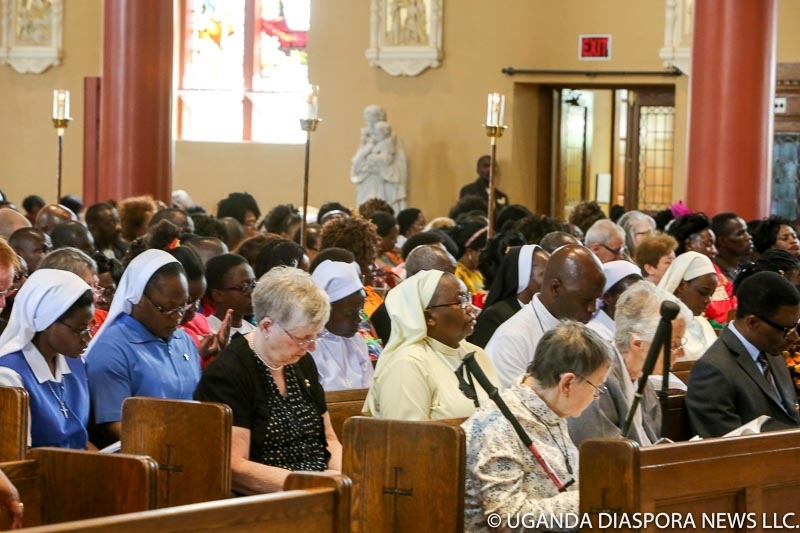 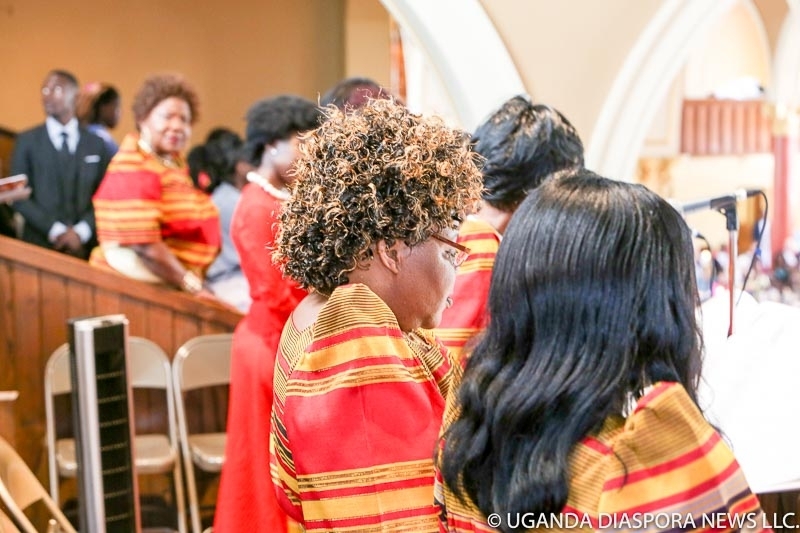 The Uganda Catholic Community in Boston held its annual feast of the Uganda Martyrs on June 10th in what was a glamorous colorful affair attracting both the old and new Ugandan Diaspora community members in the State of Massachusetts. 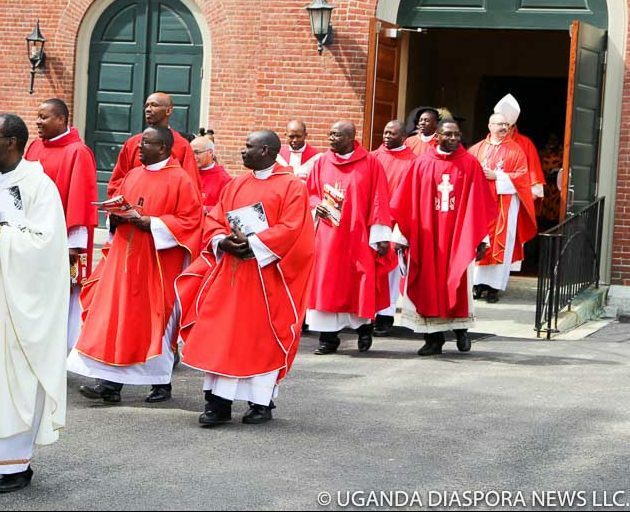 The event kicked off with a solemn Sunday Mass held at St. Mary Parish in Waltham. 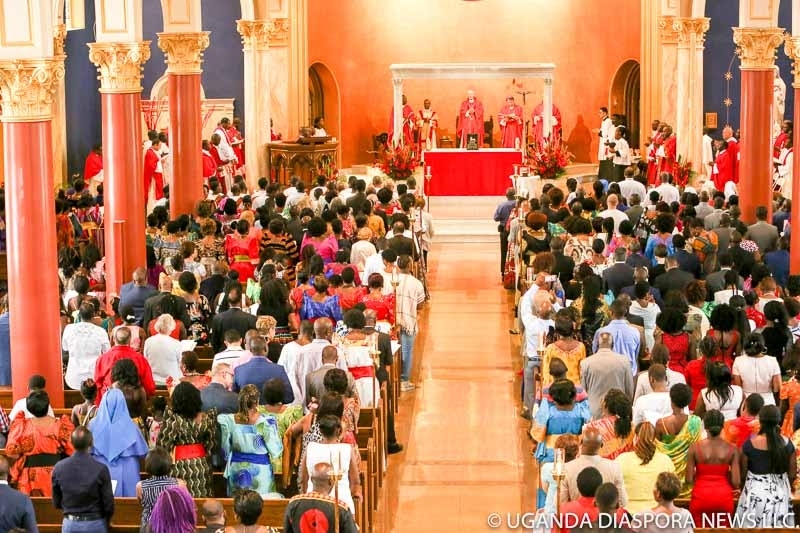 As a tradition every second Sunday of June, the Ugandan Catholic Community in the Archdiocese of Boston, and pilgrims from across the United States and beyond gather to celebrate the feast of the Uganda Martyrs here in Boston in an event that is now fully recognized by the Catholic church in Massachusetts and the Mayor of Waltham. 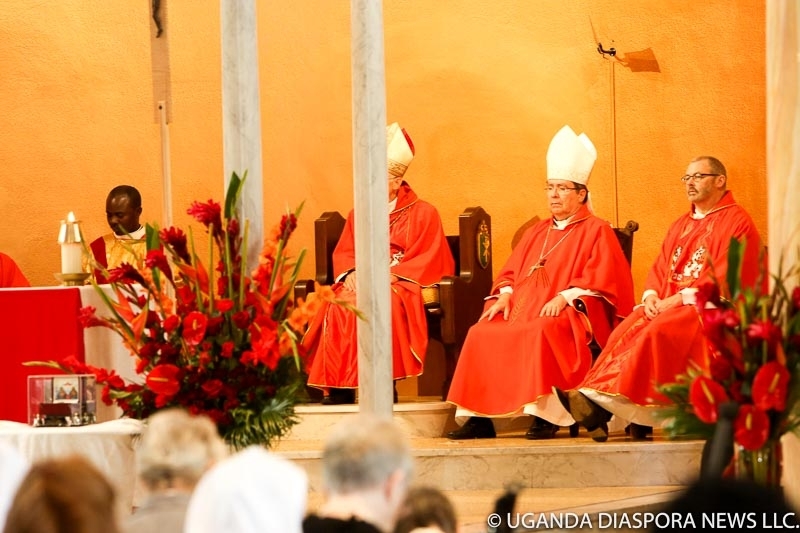 This year two special Vatican Ambassadors (Apostolic Nuncios) with a history in Uganda graced the occasion and led the Martyrs Day Church Service. 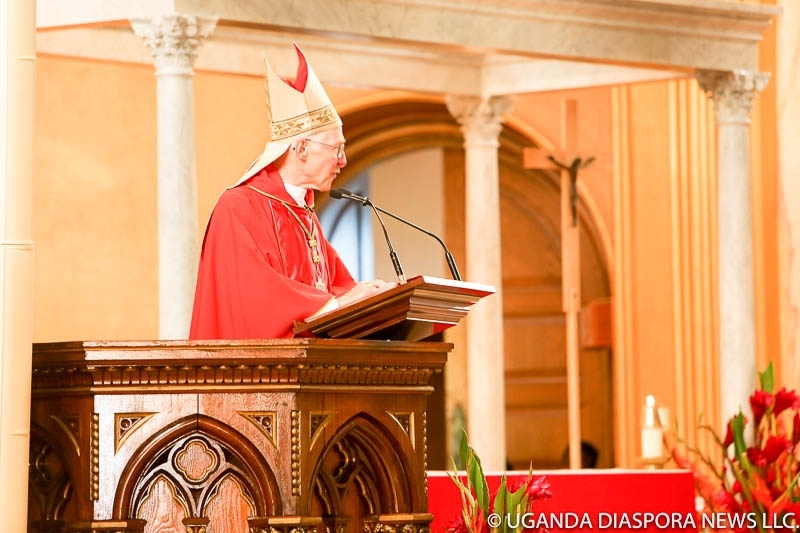 Pope Francis appointed French-born Archbishop Christophe Pierre as the Vatican ambassador to the U.S. 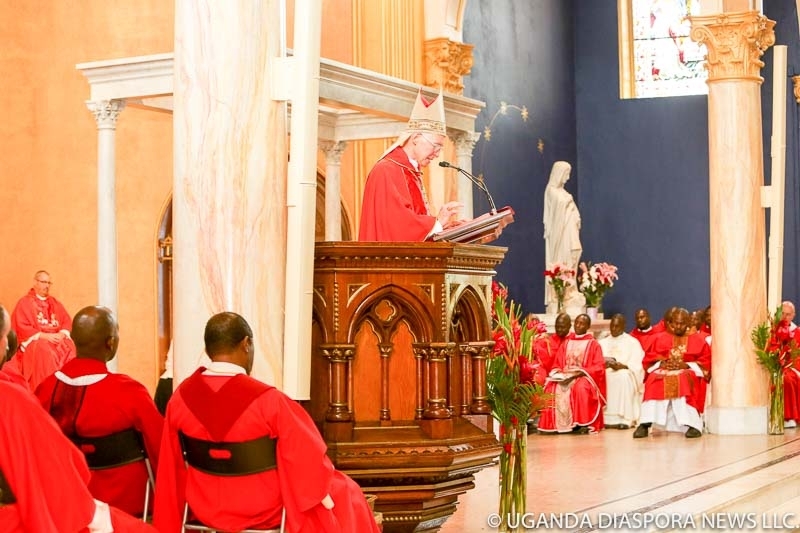 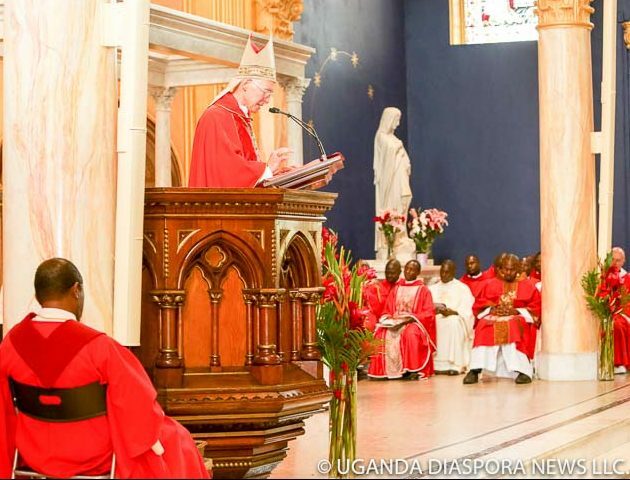 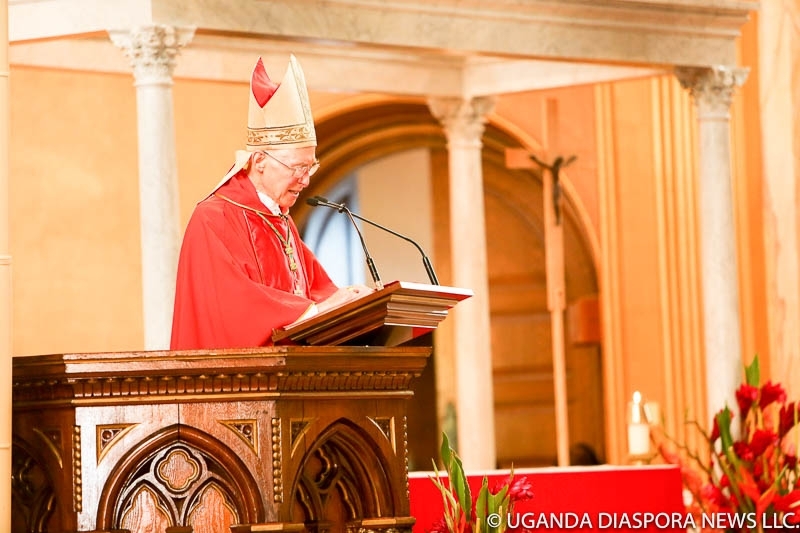 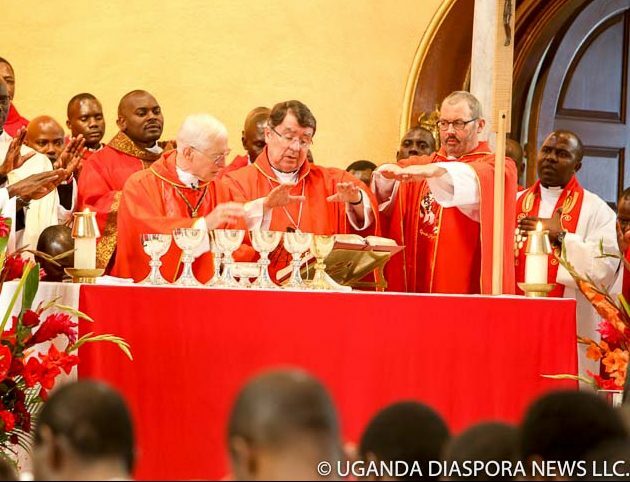 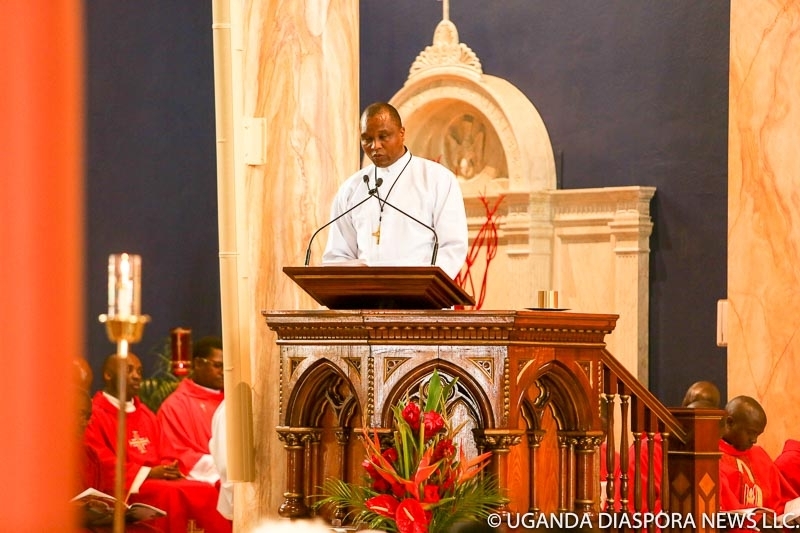 But prior to moving to the USA he had served many years in Uganda representing the Holy See in Central Africa while His Excellency Archbishop Michael August Blume S.V.D., Apostolic Nuncio to Uganda, who was this year’s main celebrant credited the Canonized Ugandan Martyrs for the spread of the Catholic faith throughout Uganda accounting for half of the present population and now ranking Uganda among the top three largest Catholic nations in Africa. 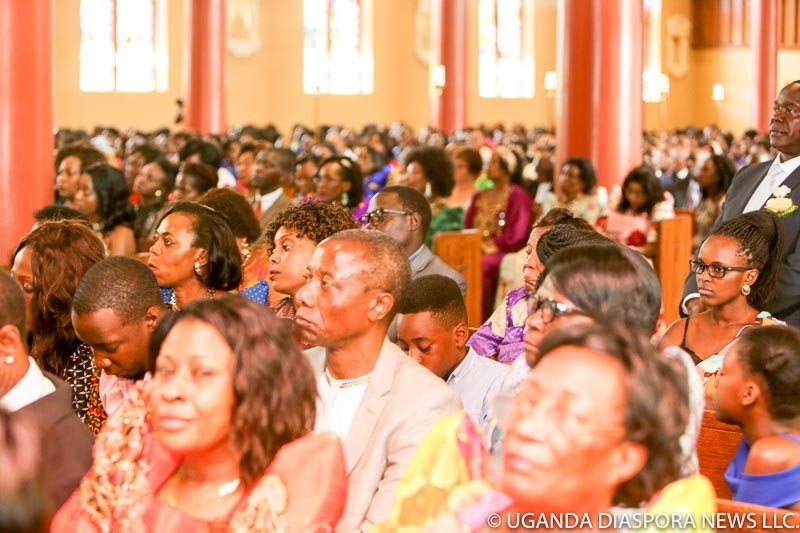 He also noted that 70% of Uganda’s population were young people who should take advantage of their numbers and change evil for good emulating the testimony of the young Uganda Martyrs. 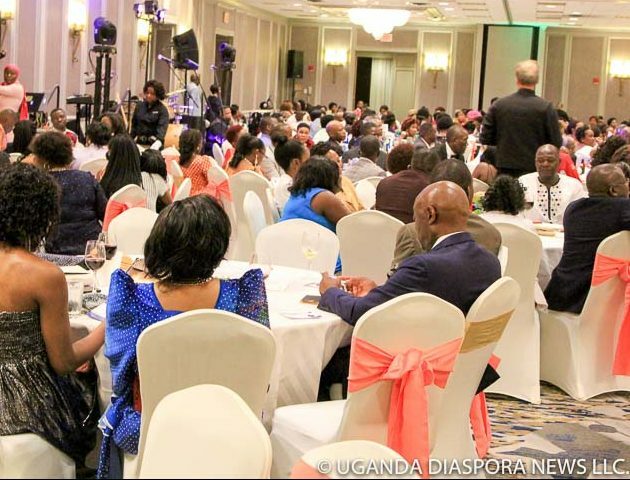 In an effort to accommodate the growing Uganda Martyrs Day attendees (that are slowly exceeding if not competing with Uganda Conventions) the organizers this year chose to move the event from the Burlington Marriott to the Marriott Hotel located in Newton, Massachusetts were more than 600 people graced the reception while another 300 unlucky ones had to be left out of the function hall due to hotel limitations and an oversold event. 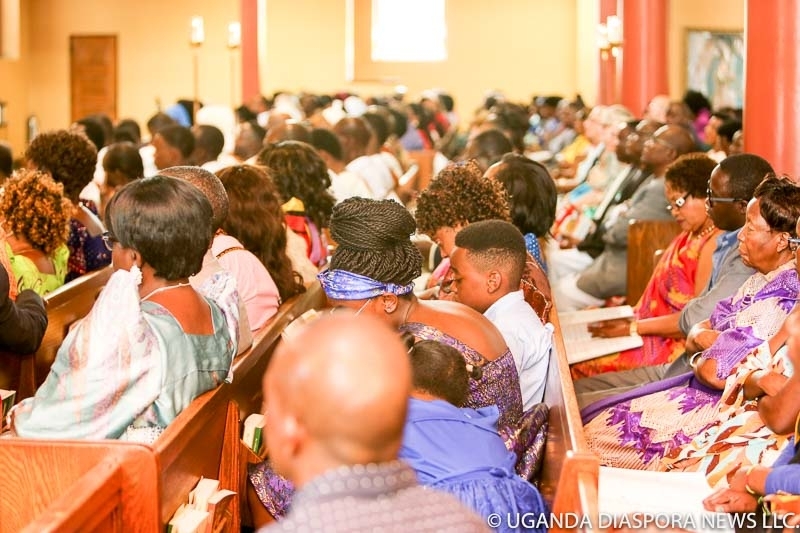 However the organizers did a great job recognizing the visitors, the special representatives within the community in their various capacities including Rev. 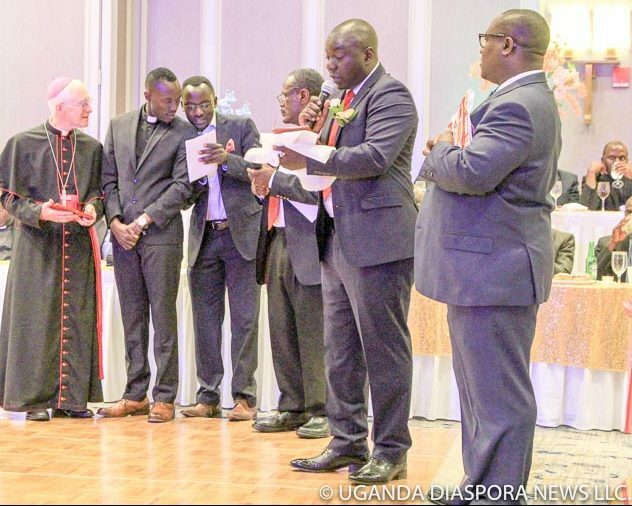 Father Michael Nolan who was declared Cancer free this year and was celebrated by Uganda Community Pastor Father Senfuma for helping him get admission with a full tuition at Boston College. 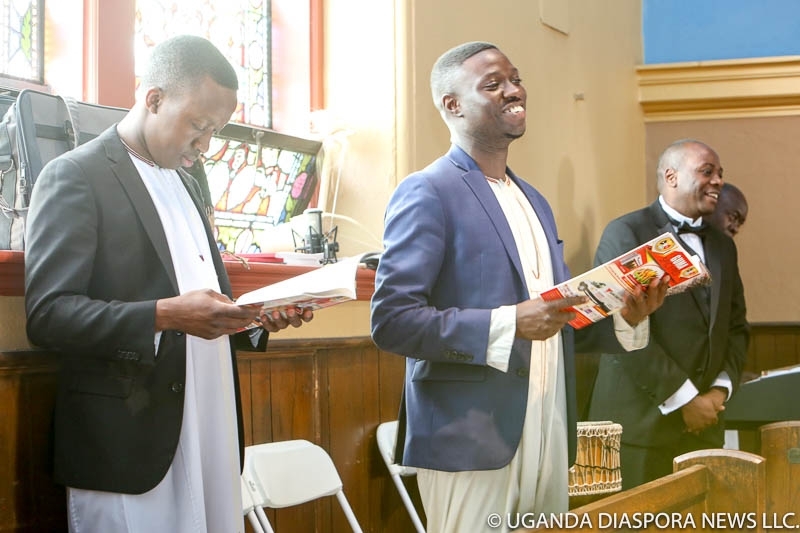 A special thank-you goes to the Mr. Ronald Kabuye the Chair UCCB this year and his entire organizing committee led by Mr. Wasswa Kivumbi and a pioneer of the Uganda Martyrs Day Boston Feasts Dr. David Nyanzi for a job well done especially in managing time and the order of service. 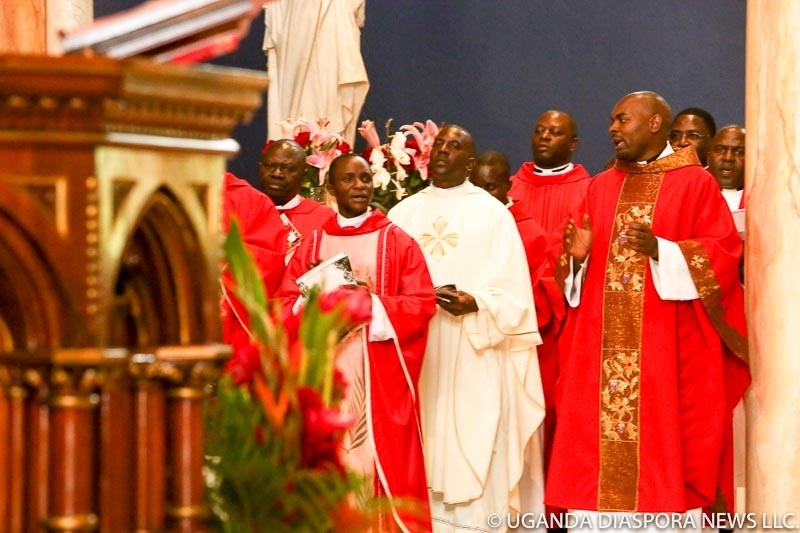 The Uganda Martyrs were 22 men whose martyrdom in 1886 is considered the spark that ignited the flame of Christianity in modern Africa. 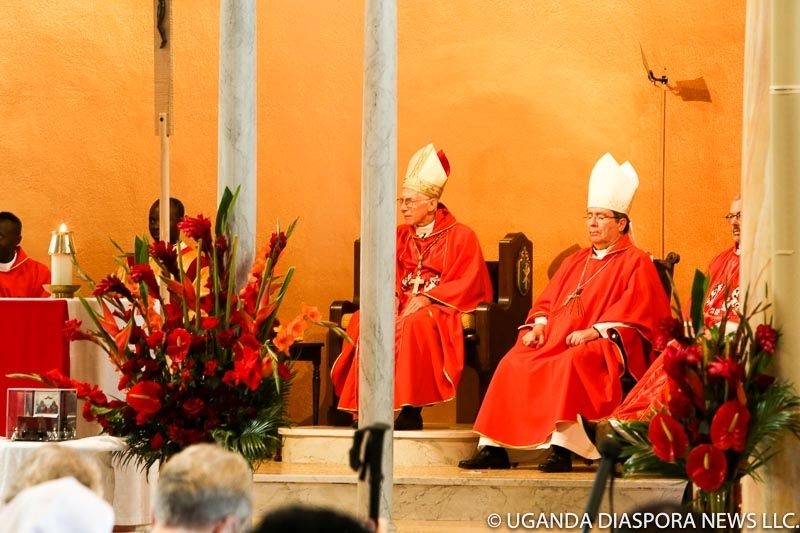 This year marks 54 years since their canonization by Pope Paul VI in 1964. 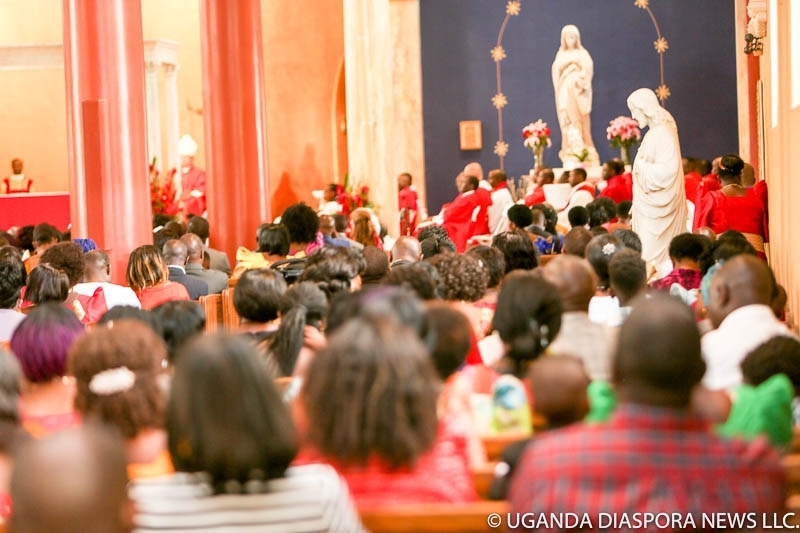 There are also two Ugandan martyrs of a later period, Blessed Daudi Okelo and Jildo Irwa, who are en route to canonization. 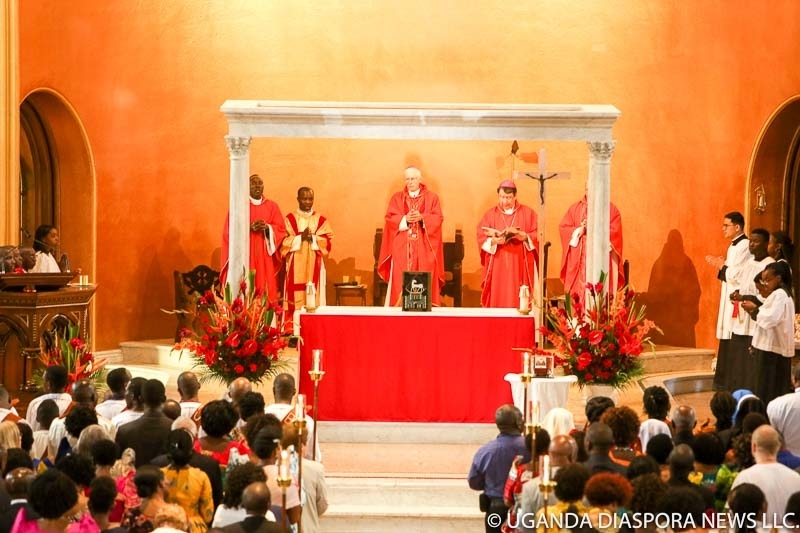 They died at Paimol in 1918 and were beatified in 2002 by Pope John Paul II. 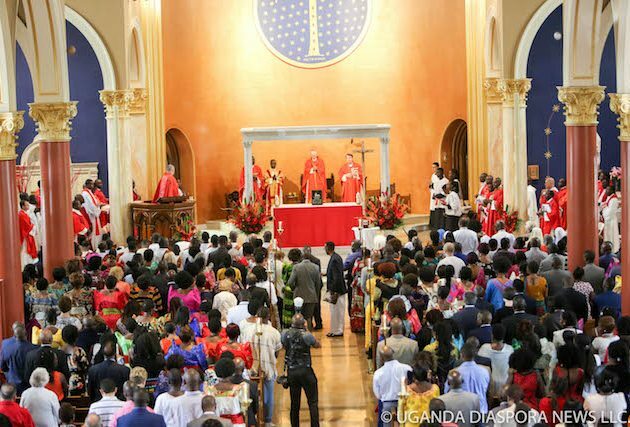 The Uganda Martyrs are revered for their faith, courage, testimony and witness to Christ. 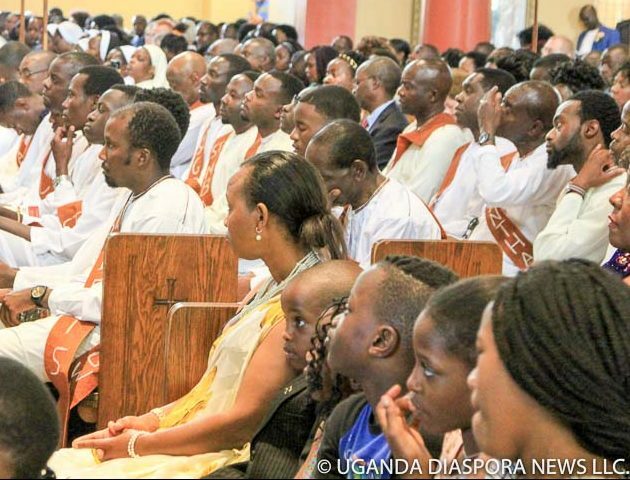 In the Diaspora this event attracts the largest number of Ugandans who embark on a holy pilgrimage to Boston. 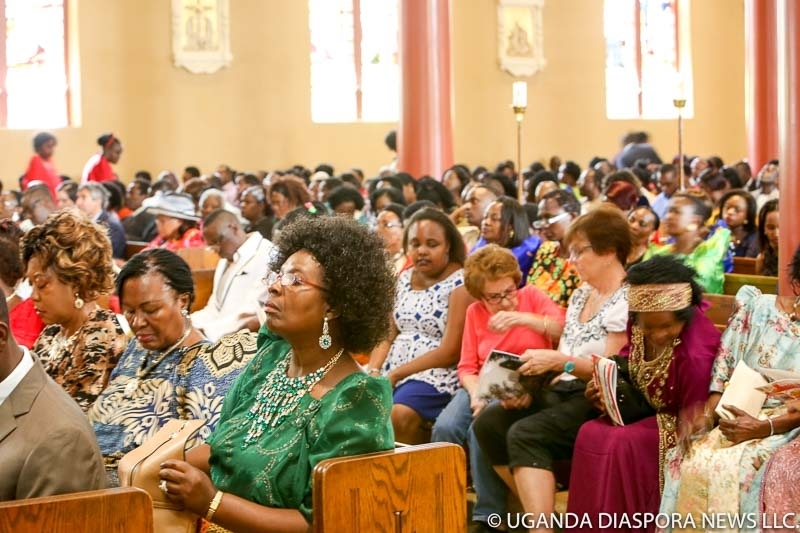 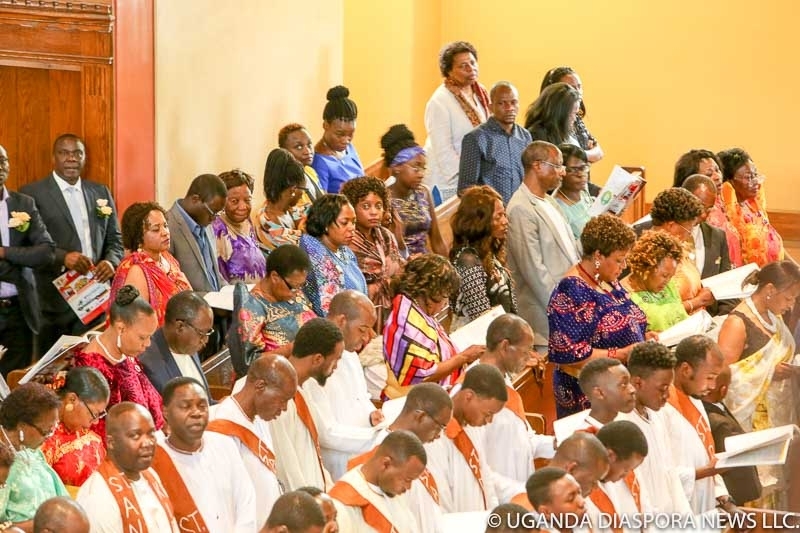 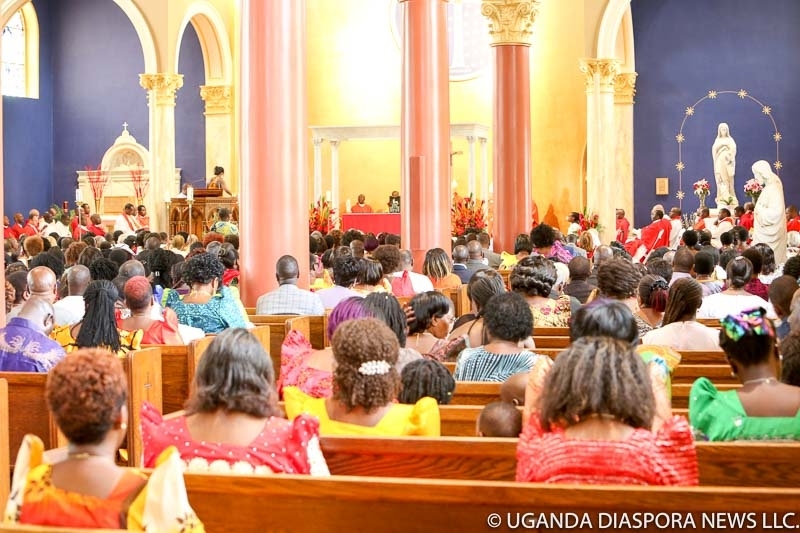 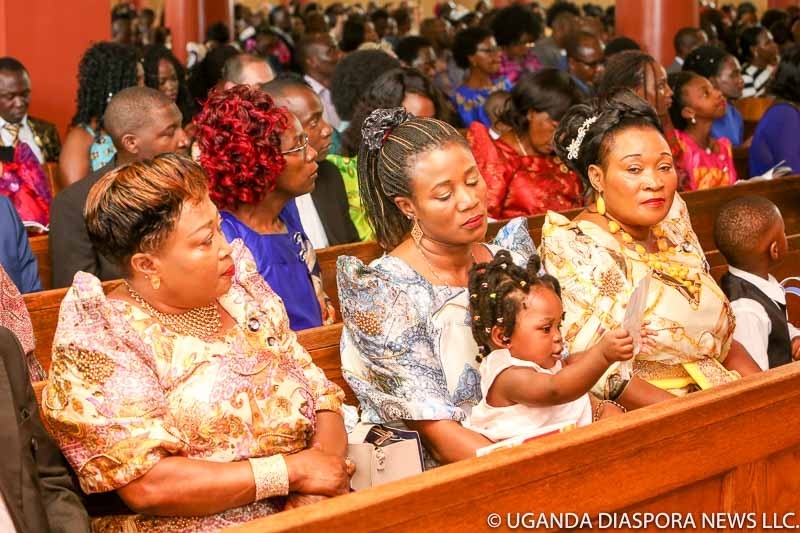 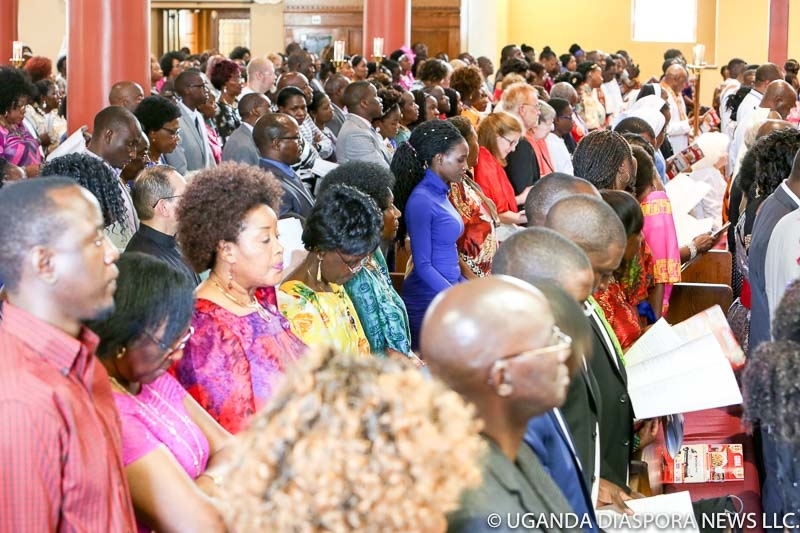 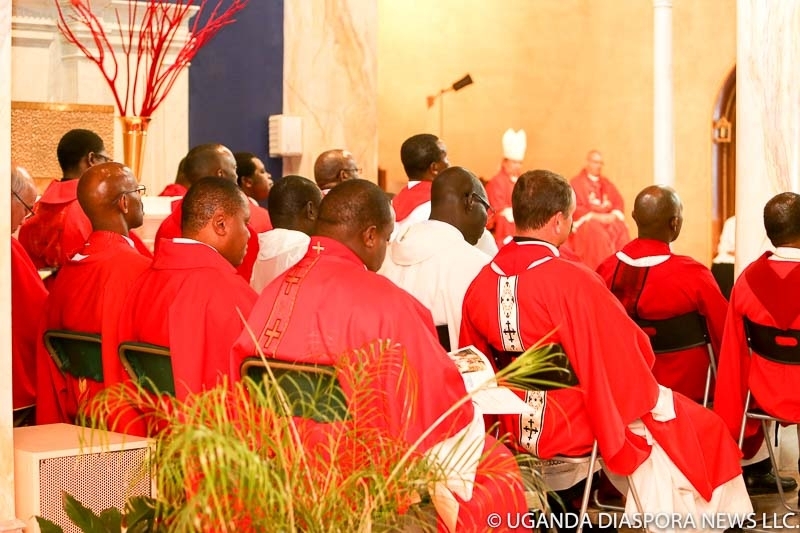 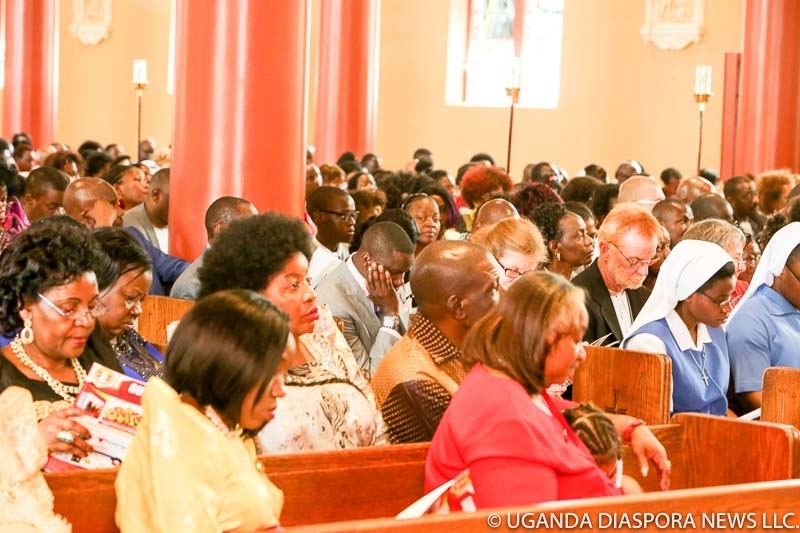 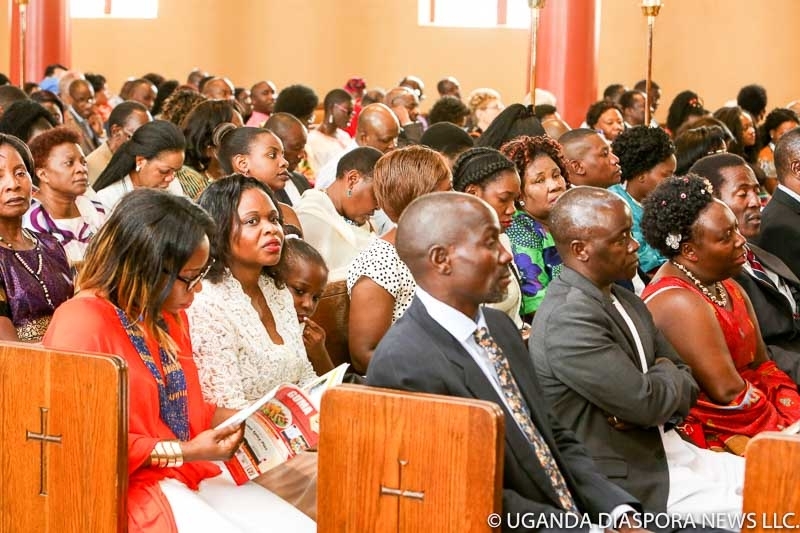 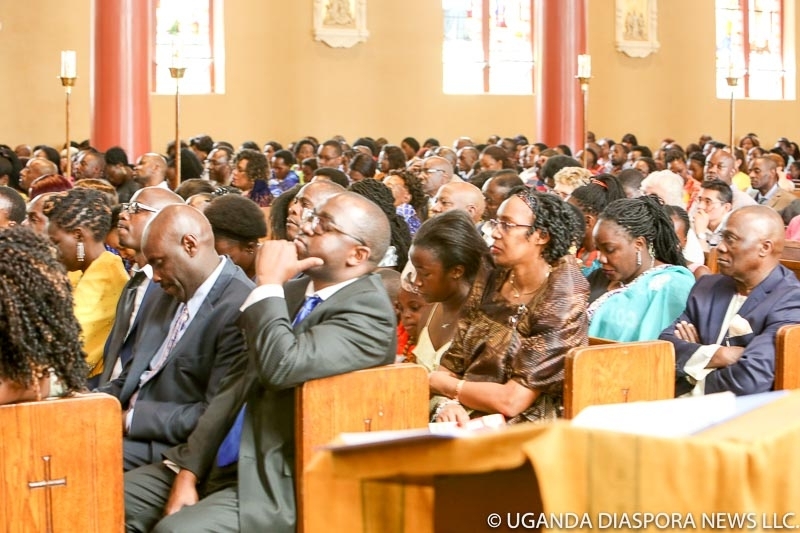 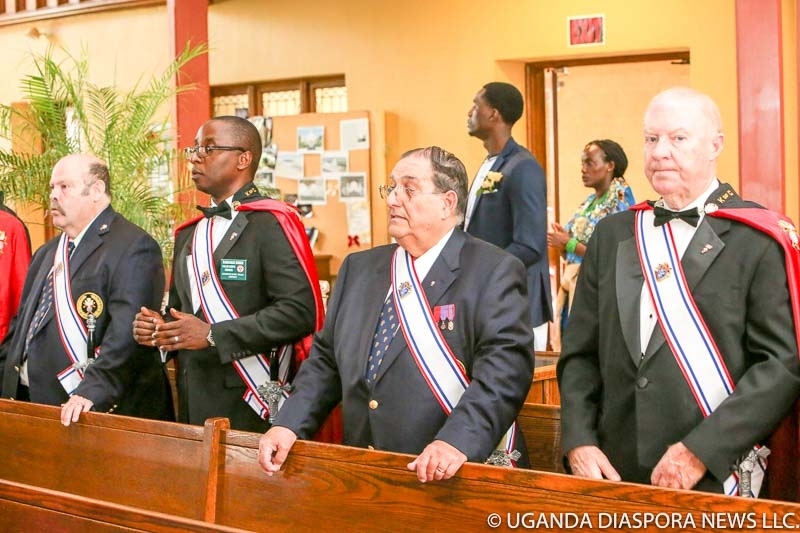 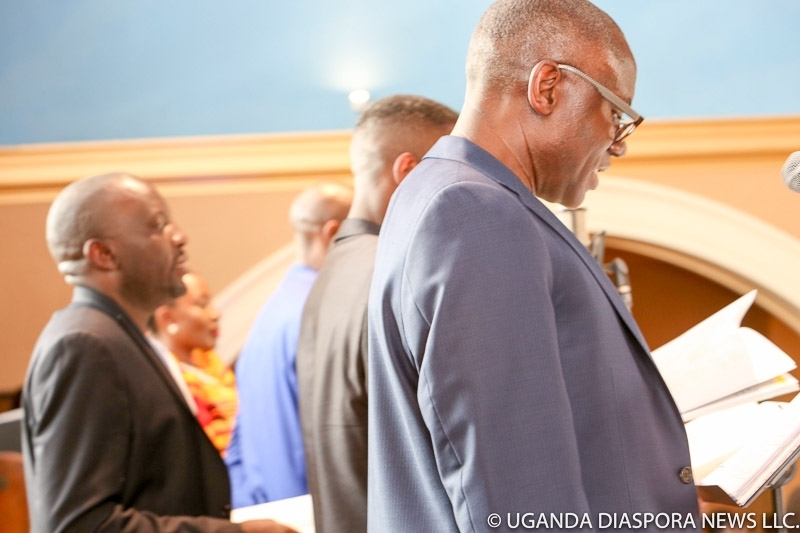 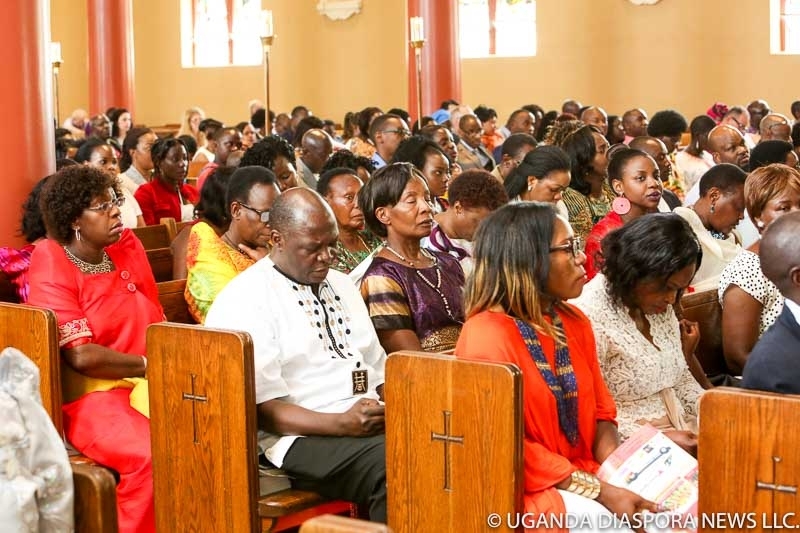 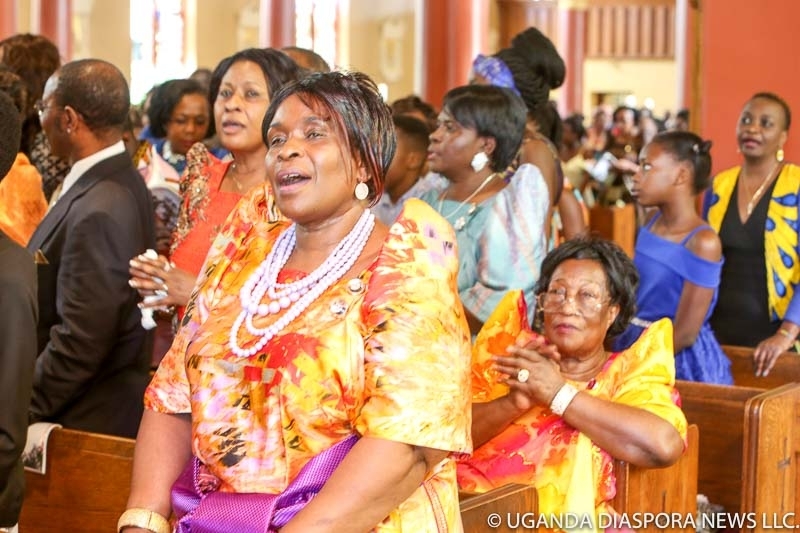 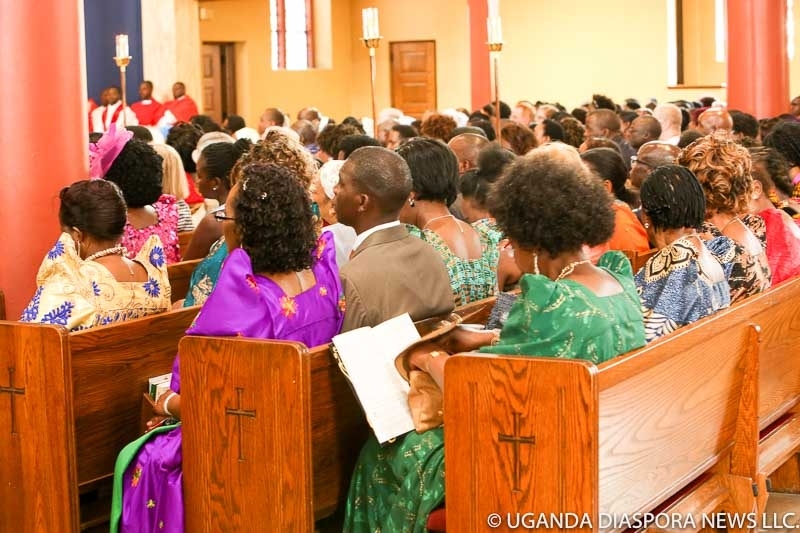 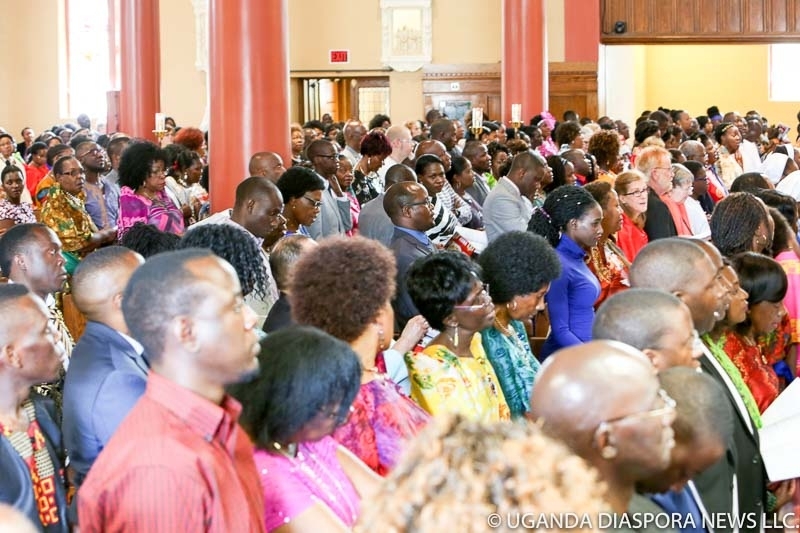 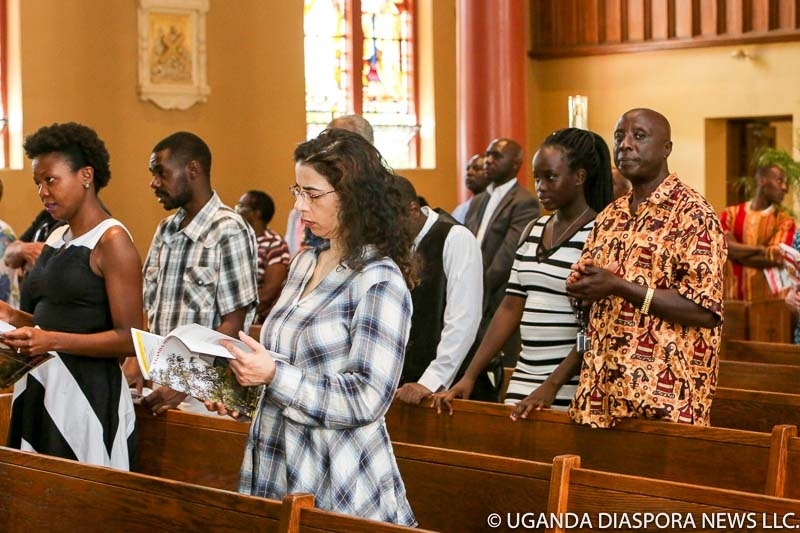 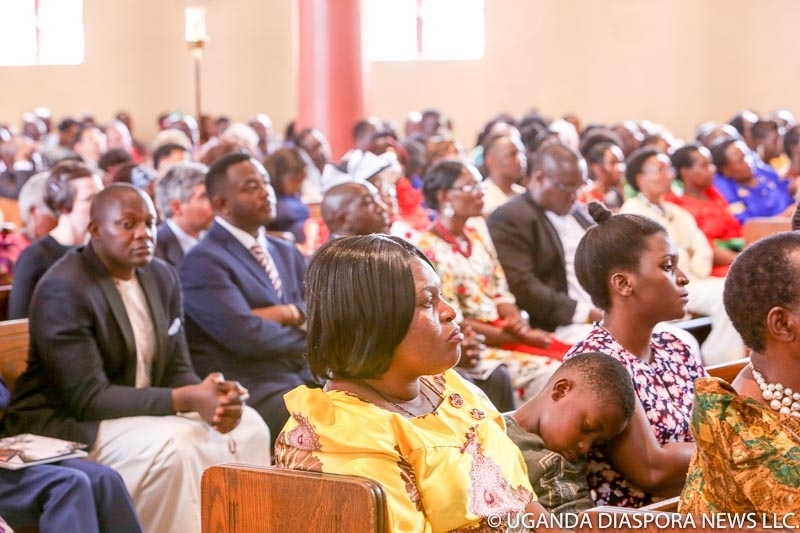 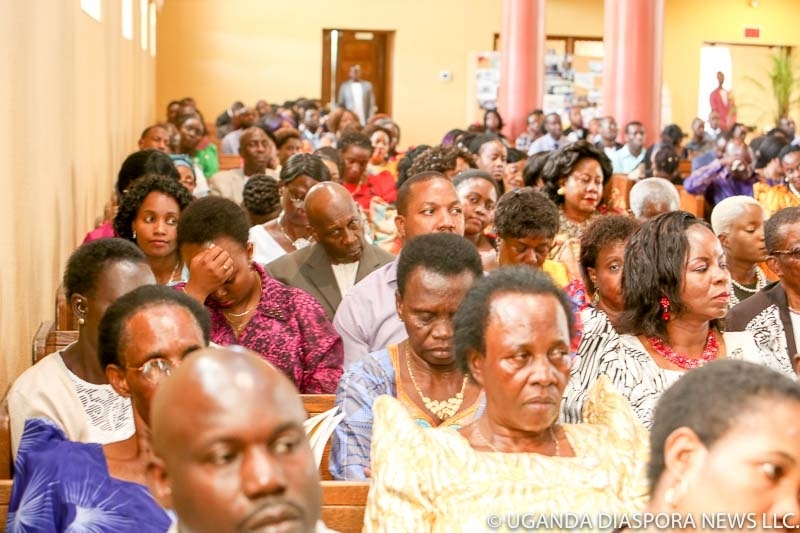 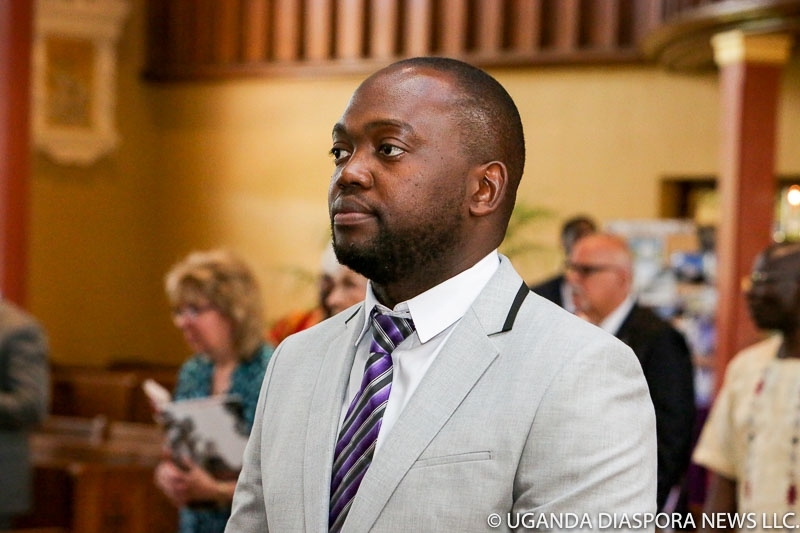 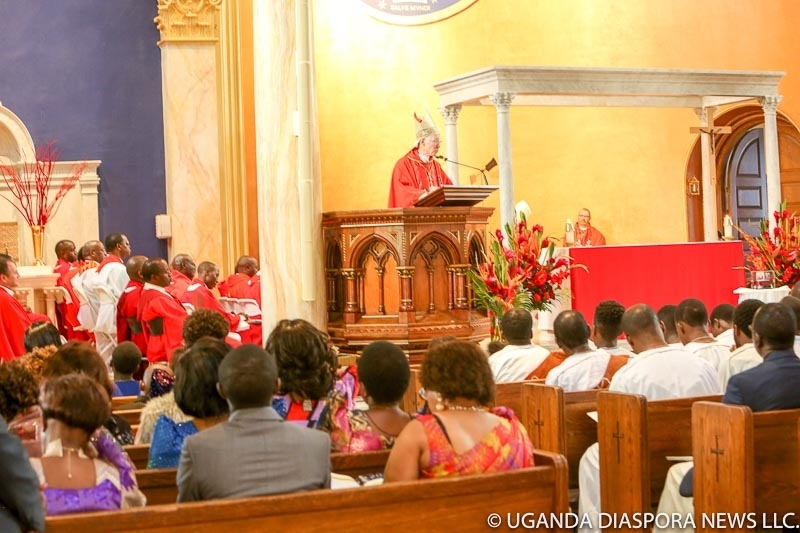 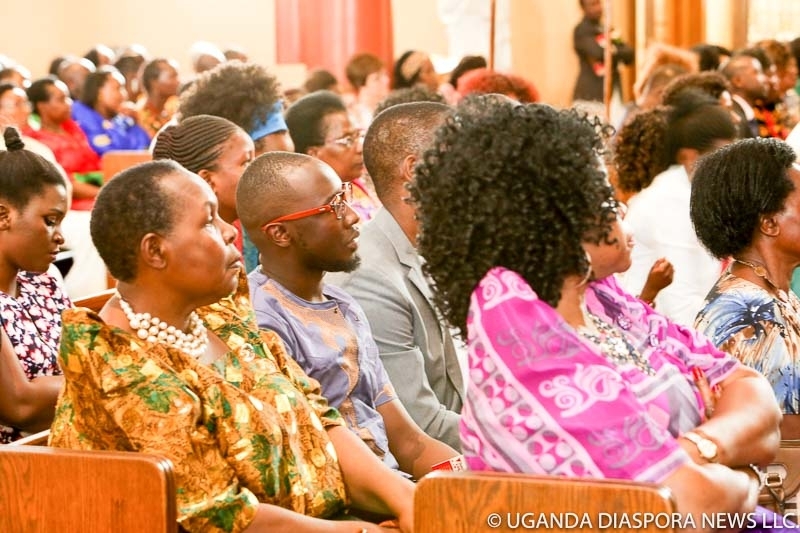 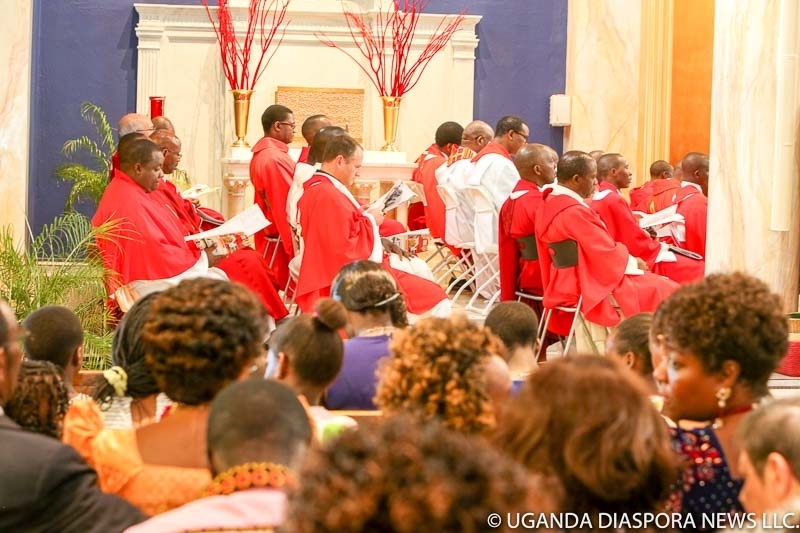 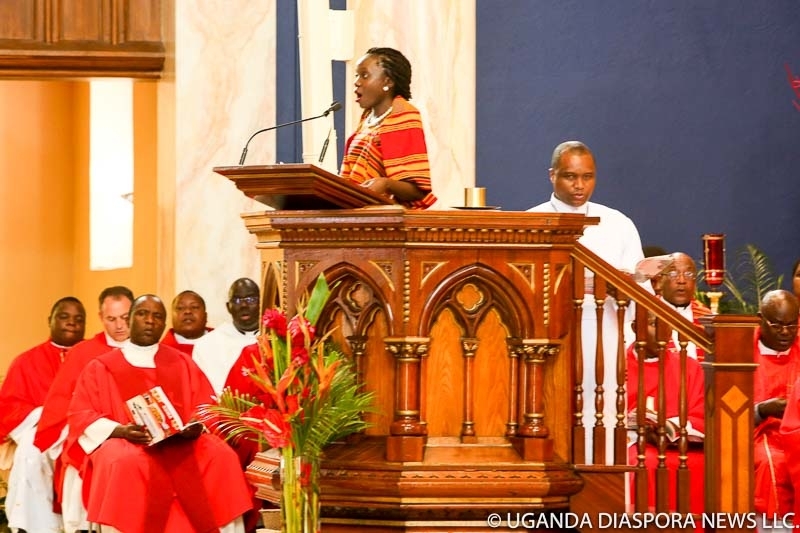 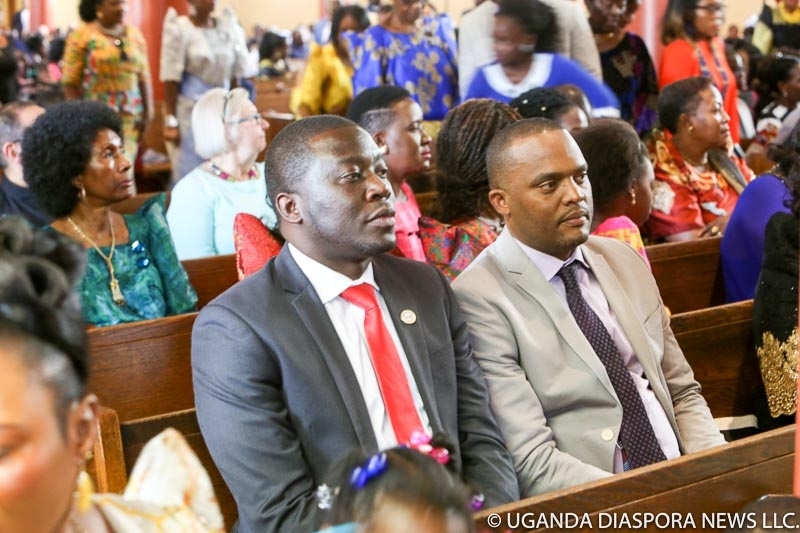 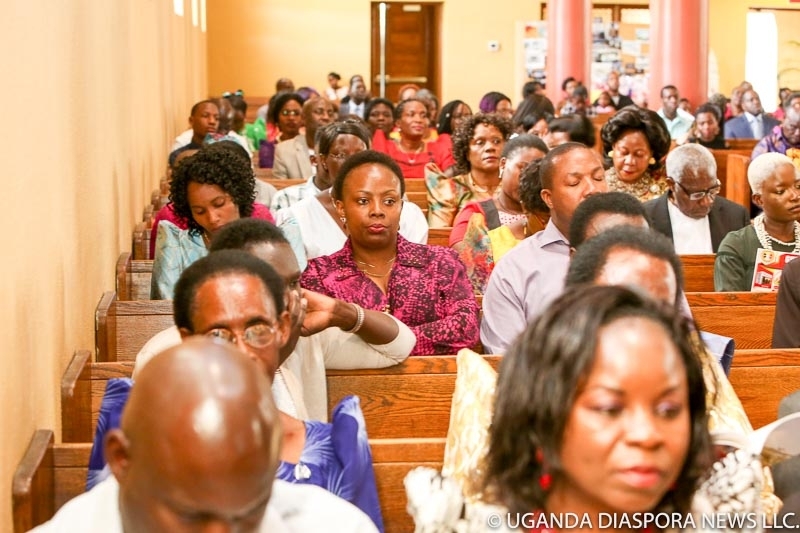 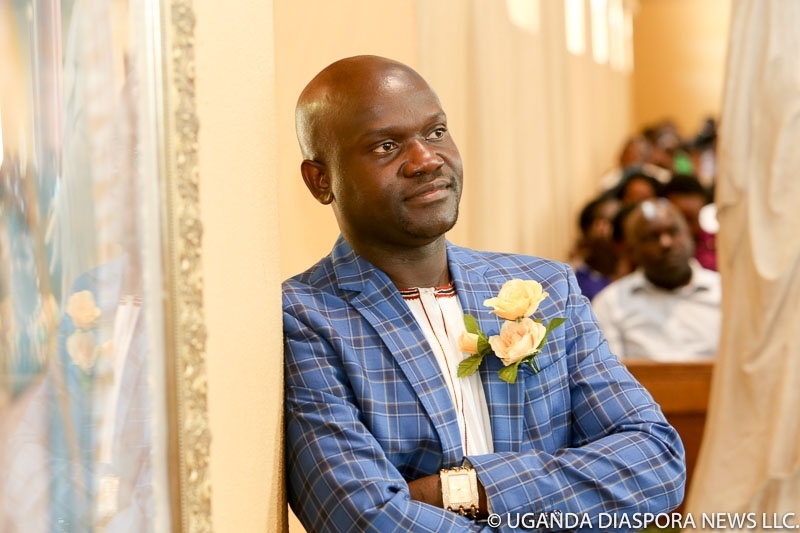 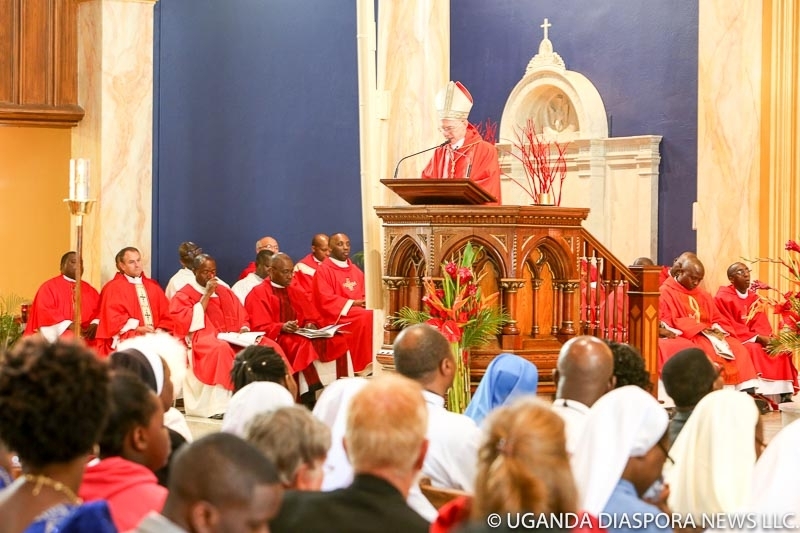 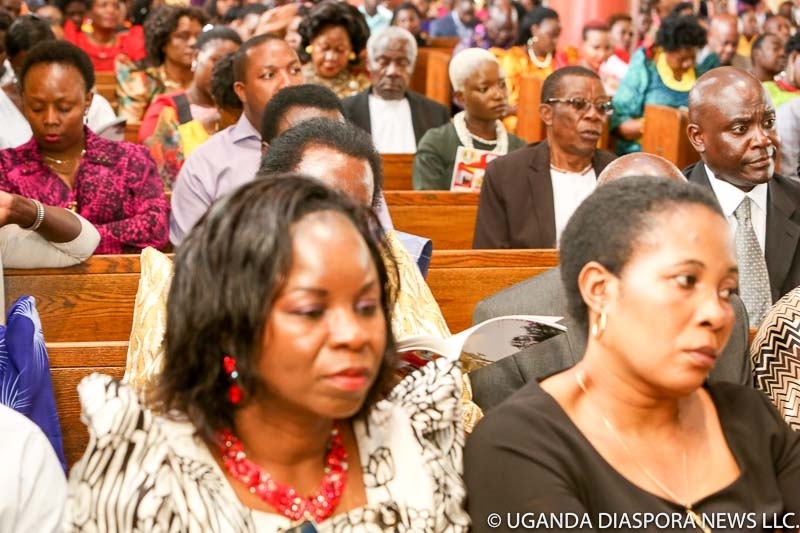 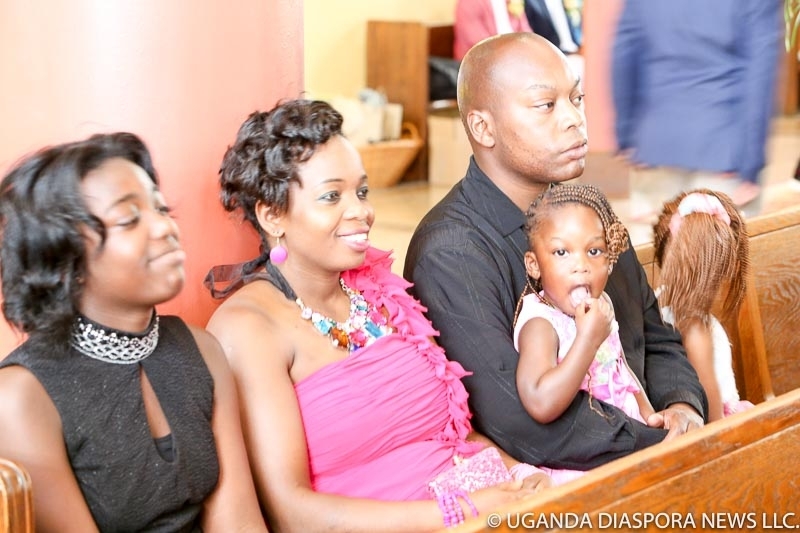 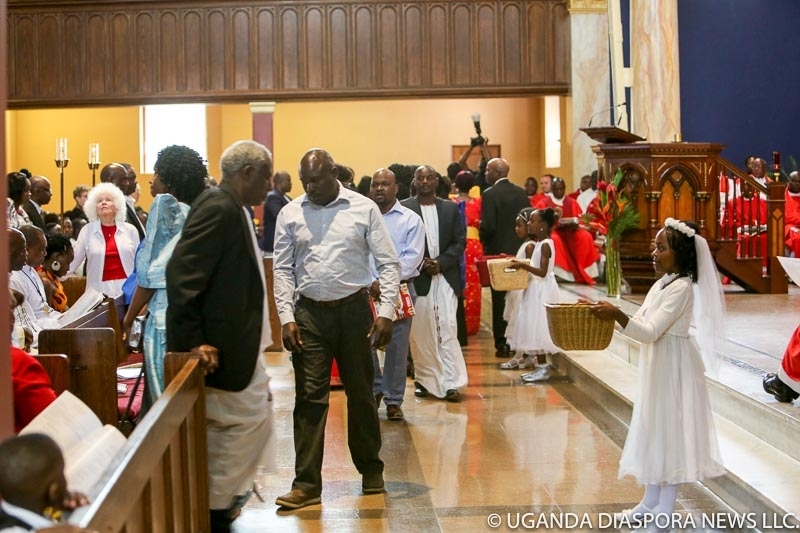 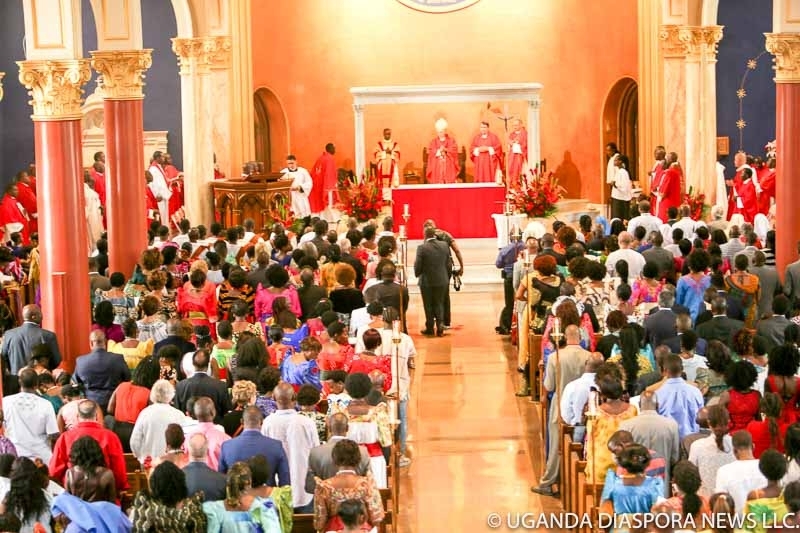 The Uganda Diaspora News team attended both the Martyrs Day Church Service and the Newton Marriott reception and now brings you the colorful highlights in pictures. 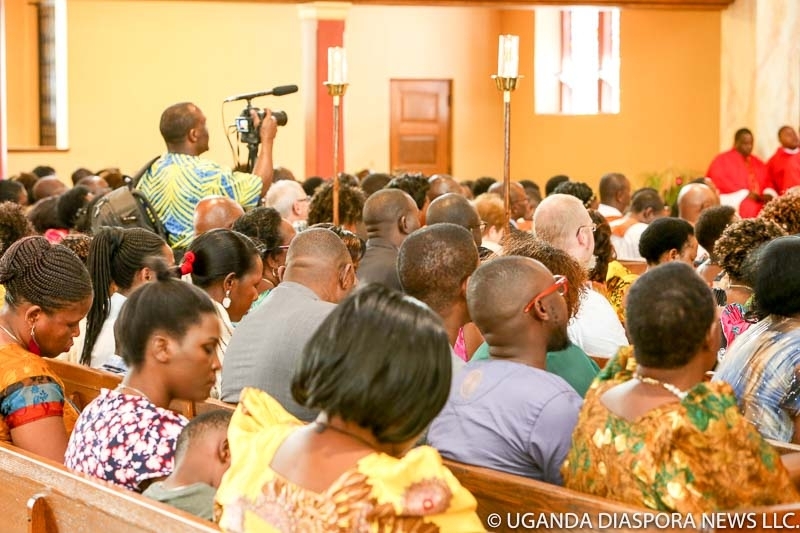 Please note that in order to upload all the 400 images online we compressed the files hence the low resolution!